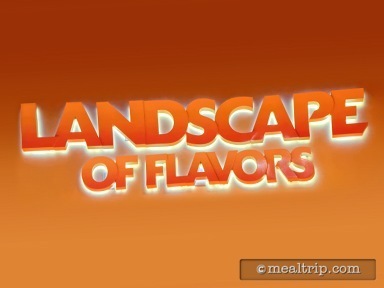 There are many great times to try at Landscape of Flavors for both the lunch and dinner periods (the menus are very similar) that several visits may be in order. 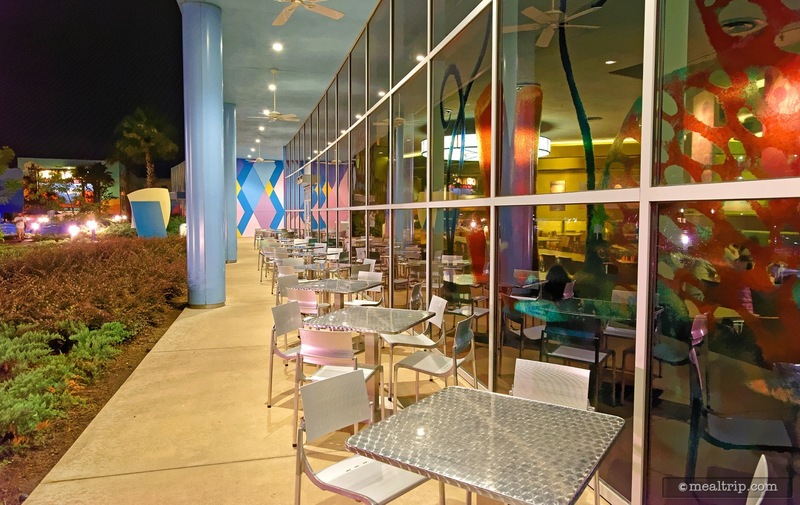 Since the large food-court style eatery is the Art of Animation Resort's only restaurant, multiple visits should be a little easier. 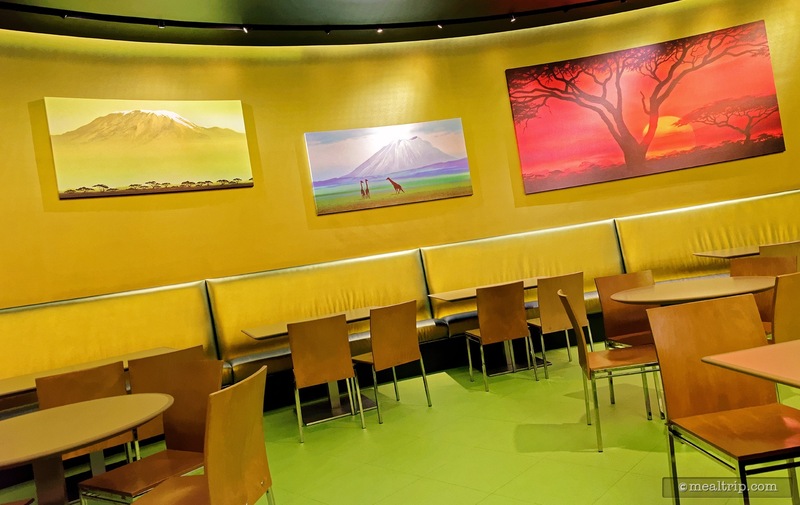 The large open-concept dining area has ample seating for everyone and is themed with various paintings and artwork from the same animations that also theme the resort. There is a "Cars" area for example, that has prints and scenes of Radiator Springs hanging on the walls. Most of the seating is indoors but there are a few tables outside as well, for those that are enjoying the pool area, and don't want to be inside the air conditioned restaurant. The restaurant can get busy at peak times. Everyone has to go to a different counter to get what they want, and then converge at the registers… this can cause delays, backups and congestion. 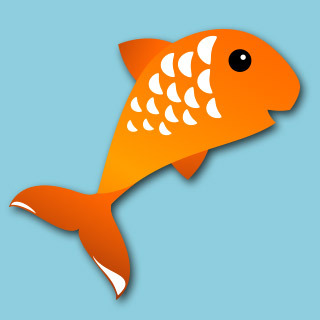 If you go once, you'll have a strategy that works well for your group, but that first time can be a bit confusing. The food here is squarely American but with a nod to ethnic cuisine tossed in here and there, either by flavor or by form. You will find some of the same burgers, pizza and pasta stations here that are at other food courts, but it's the things that you can't find everywhere that we like highlighting. Fortunately, there's a little "plate, knife and fork" icon on the menu boards that mark some of the really good, different finds. Items like Shredded Barbecue Pork on a Cornbread Waffle, Tandoori-style shrimp or chicken with Naan Bread and sides that include Spinach and Paneer Cheese, Acorn Squash, and a Roasted Cauliflower with Tomatoes (now really, when was the last time you saw any of that at a food court)? A Cottage Pie that features Ground Beef and Vegetables Simmered in Brown Ale, a Pork Tortierre Pie baked with potatoes and mushrooms, and Butter Chicken with sides, which is very close to the recipe that you will find at Sanaa at Animal Kingdom Lodge. While there are a some baked goods for dessert, most are stored in a "serve yourself" presentation display. That's not to say they're bad, but it seems there aren't really any "prepared" dessert here, with the exception of hand-dipped Gelato station. We wanted something savory but different. 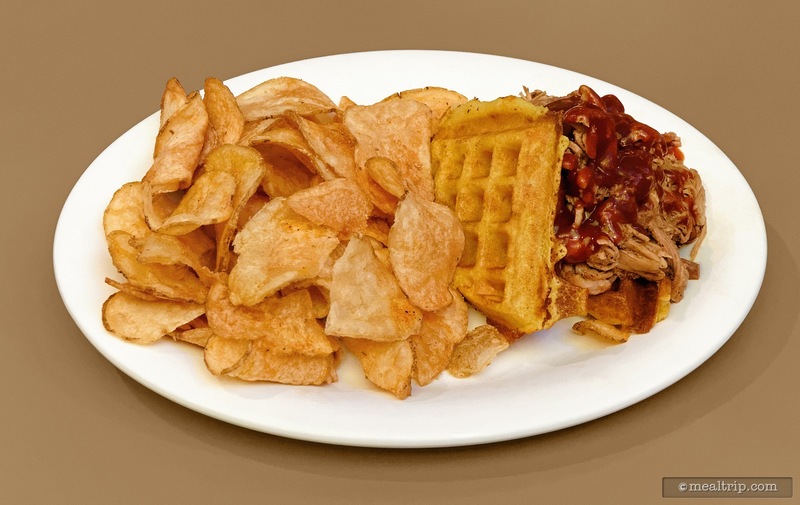 Our choice was the shredded pulled pork sandwich on a cornbread waffle. The shredded pulled pork was the best I have found being the flavor was actually in the meat and not swimming in sauce. The waffle should have been a plain waffle. The cornbread waffle was not my favorite. The very fresh house chips were also the best I have had at any food court. Next time I will eat the pork on the chips and enjoy every bite.